Running In Sanity: Just another Friday! It's hard to believe that we are already towards the later part of August! My next half is sneaking up on me quite quickly. It's been a little harder to keep up with training over the summer than I had expected. But it'll all be ok- I'm really looking forward to a fun weekend with family and friends! Things are really coming together for The Great Cupcake Race! 60 people are now registered and we have our final artwork for the center of the medal! If you haven't registered, you have until August 3o to do that. 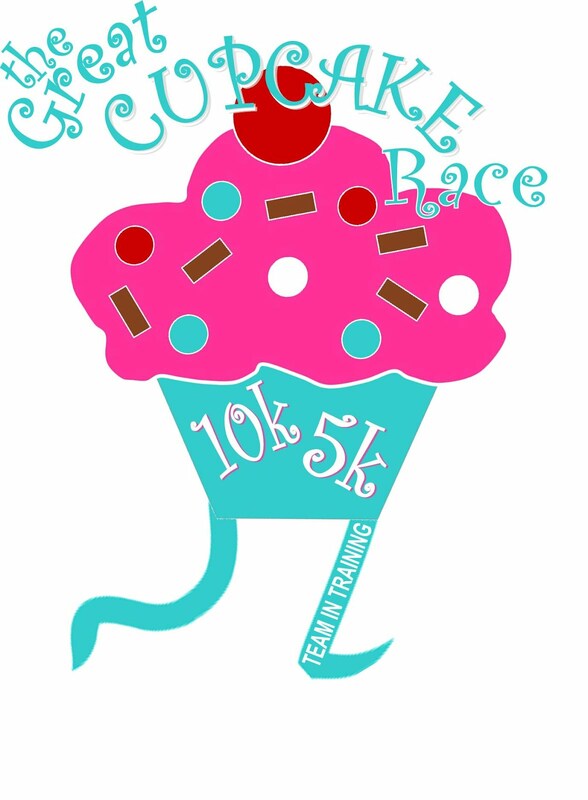 Only 40 more people and I will run in a cupcake costume! If you haven't registered yet, details are here and you can register using the dropbox to the right at the top of the page! I'm starting to work with my coach from TNT for the Tinker Bell Half Marathon. She has been really great about communicating with me about the half marathons that I have scheduled for the fall and how to get the most out of both my training and my scheduled races. My training schedule officially kicks off tomorrow! I am anxious for the Rock and Roll half....it should be my last half before my husband comes home. Even though I did decide to change up my original goal of a half marathon every month, I am still very happy with what I did accomplish this year so far. I have a ways to go before I meet my ultimate goals, but I am very happy with how things have gone so far. Running half marathons and blogging about my experience have really taken me out of my comfort zone and I could not be happier that I decided to take this chance! I thank you all for your support!